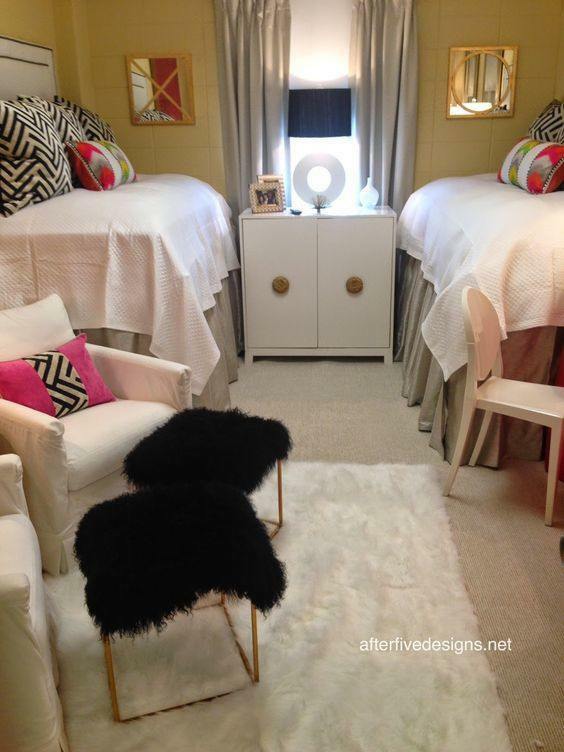 It’s expensive enough sending your child off to school but you don’t have to break the bank when designing their dorm room. 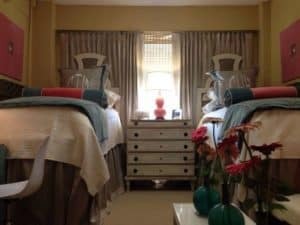 You want college to be the best four years of their life – their home away from home – so of course you’re going to do what you can do design a dorm room they’re comfortable and feel at home in. 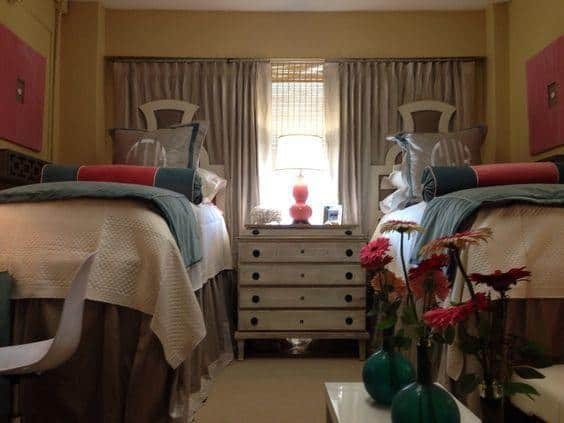 While you’re helping your college-bound child get ready to pack up and head out, take some of our dorm decor ideas into to mind to not only help your wallet but to be sure you’re decorating a space they (and their roommate!) will love! 1. 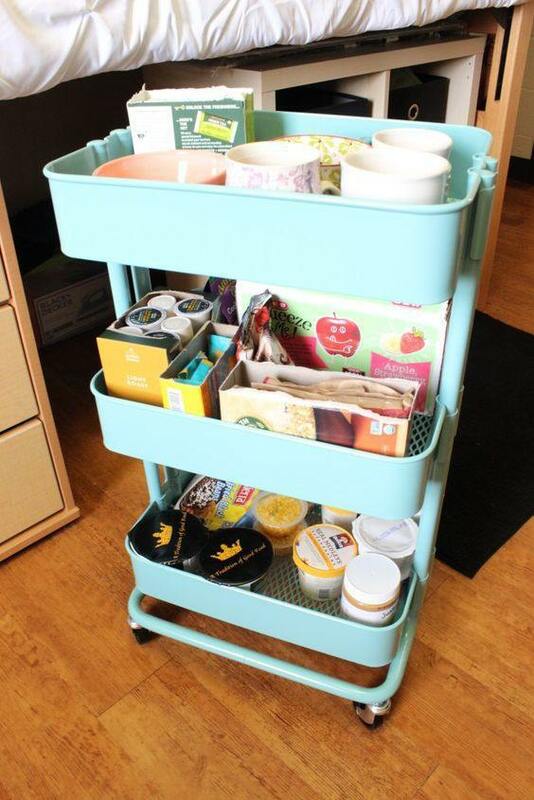 There’s often not enough storage in a dorm room. They typically get a desk, a small closet, and a dresser, but with all the stuff they’ll bring with them and collect along the way you’re probably going to need a lot more room to store things. We suggest using picking up a rolling cart. You can find one at a thrift store and give it a makeover or purchase one brand new – but either way it’s going to be perfect for storage books, toiletries, random knickknacks and care package treats from home. Plus it’s lightweight and portable, so they won’t struggle moving it in the building at the beginning of the year and out of the building at the end. 2. Mirrors are a must-have for any small room because they’ll create the illusion of space! If arranged strategically, you can help make that tiny dorm room look like it’s three times its original size AND give the kids a place to check out themselves everyday before leaving for class. Whether it’s a plain old mirror you hang up on the wall or one with a little pizzaz, it’s both useful and a great decorating tool to have in their dorm room. 3. 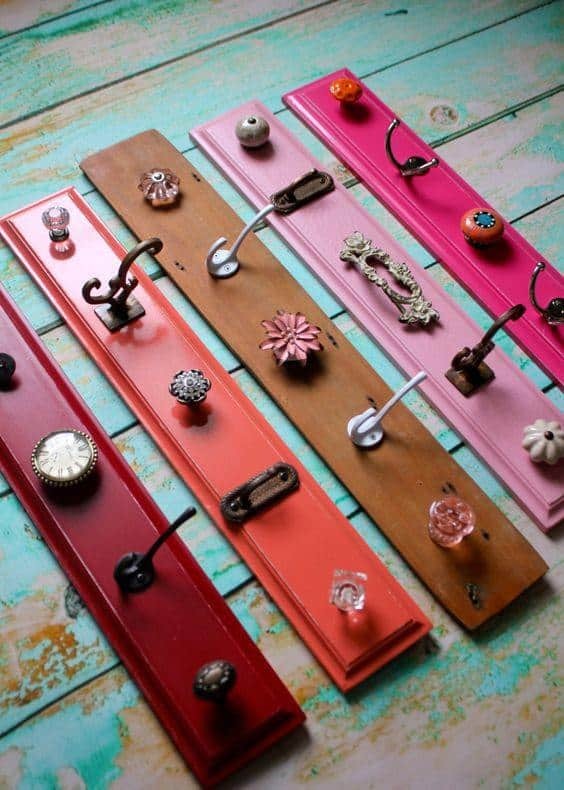 If closet space is limited, try finding a fun and bright coat rack that isn’t bulky. When your college student has friends over they won’t need to pile all the coats on the bed (and it’ll give them more room to sit!). It’ll also be a spot where they can hang up a book bag or even hang their towels to dry after the shower. 4. For a more practical storage solution (and to make their bed a little more cozier), consider purchasing some bed risers. It’ll not only lift their bed but it’ll give a plethora of added storage underneath. We loved the feeling of our bed being up high when we lived in a dorm and it was nice to be able to put some things (which turned out to be a lot of things) we didn’t need quite as much as we thought we would! Bed risers can surprisingly really give your dorm room less of that sterile look and more of a homey feel.